Reads All The Books: Supernatural Chronicles Blog Parade - Excerpt and Giveaway! Supernatural Chronicles Blog Parade - Excerpt and Giveaway! I am so excited to help bring you the Mardi Gras Blog Parade for The Supernatural Chronicles! The Supernatural Chronicles is a fantastic box set with stories from ten different authors each celebrating a distinct supernatural creature! This is the Supernatural Chronicles: The New Orleans Collection. The Tour goes from February 1st-February 10th with different authors and content each day of the tour! Make sure you check out each stop along the way and enter to win the 1 of 10 Mystery Boxes!! See why everyone is talking about #DYNAMIS, and stop by The Supernatural Chronicles Facebook Discussion Group! Beneath the brow of Bourbon and French architecture, the iris of New Orleans swirls with flecks of worlds and beings unknown to mankind. Come with us as we chronicle their journey—each supernatural race must hunt for an offering in hopes of saving their own. Skinwalkers, Wolves, Vampires, Dragons, Succubi, Witches, Necromancers, Cupids, and Asgardians are all in danger of losing control as an uprising darkness threatens to rip the veil that protects them all from the great beyond. Ten original novellas, following each supernatural race as they fight an elusive enemy, are written by New Adult authors Lila Felix, Kristie Cook, Brenda Pandos, Delphina Henley, Julia Crane, Jamie Magee, Morgan Wylie, Kallie Ross, S.T. Bende, and Rebecca Ethington. Come join them for the hunt and discover hidden treasures inside. 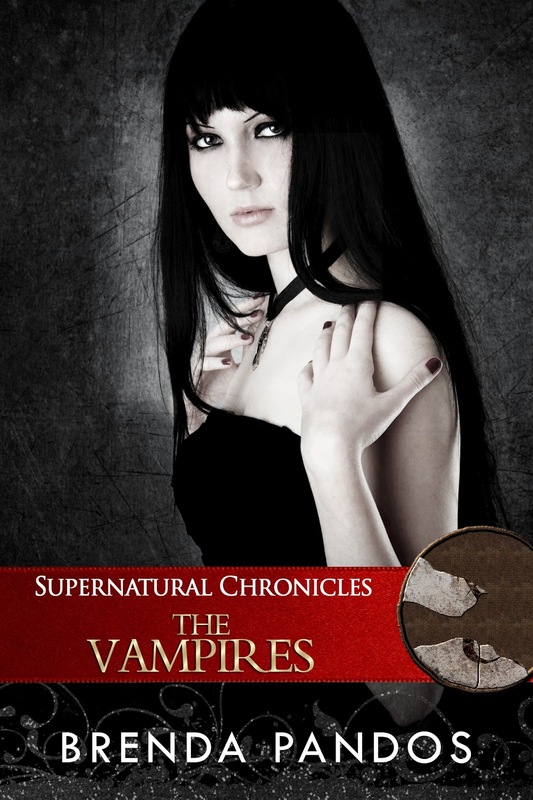 Supernatural Chronicles: The Vampires, by Brenda Pandos, is the third in the collection and it features characters from Brenda's popular Talisman Series. After having just survived near annihilation, eighteen-year-old Julia and her vampire friends have reveled in the afterglow, and are now bored. Thankful their enemy is sleeping off the defeat quietly in Julia’s vaults for all eternity, they need a new challenge. When a letter from the supposed Noir begs for their help with a riddle, it becomes their first case. Not taking the threat seriously, the night loving crew turns the quest into a challenge: First person to solve the mystery, gets to be their new Justice League’s leader. They soon learn it’s not a joke, and once they head to New Orleans, they find others who’d love nothing more than to stand in their way. The threat is real, and unless they figure out what offering the riddle is referring to, all hell will be let loose, literally, rendering them powerless. Will Julia be able to give up what’s required: a true sacrifice? Mimi moved closer, tearing at her neck with her nails. Blood came to the surface, teasing me. Nicholas moved closer, but I raised my hand for him to stay back. “It has to be your venom,” she said, but the pungent scent of a lie filtered into the air. Her chest rose and lowered with her quick breaths, her heart fluttering in a staccato beat. Any other time, the blood might have overpowered me. But her blood was like settling for fast food when a gourmet feast was coming, and I didn’t want to spoil my appetite. She closed her dark eyes and pulled aside her long dark locks. On her neck was a necklace made from a black velvet ribbon. 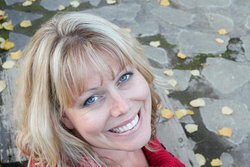 She’d thought she’d won—that her lies would satisfy me.